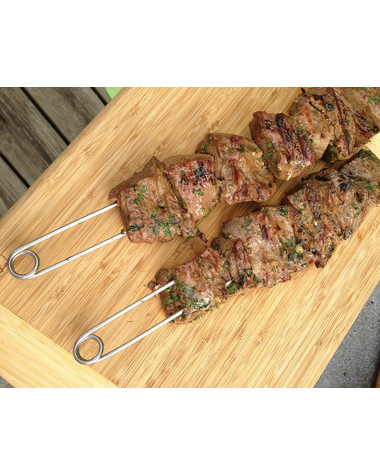 The ultimate kabab skewer that holds your meat in place, for easy turning. 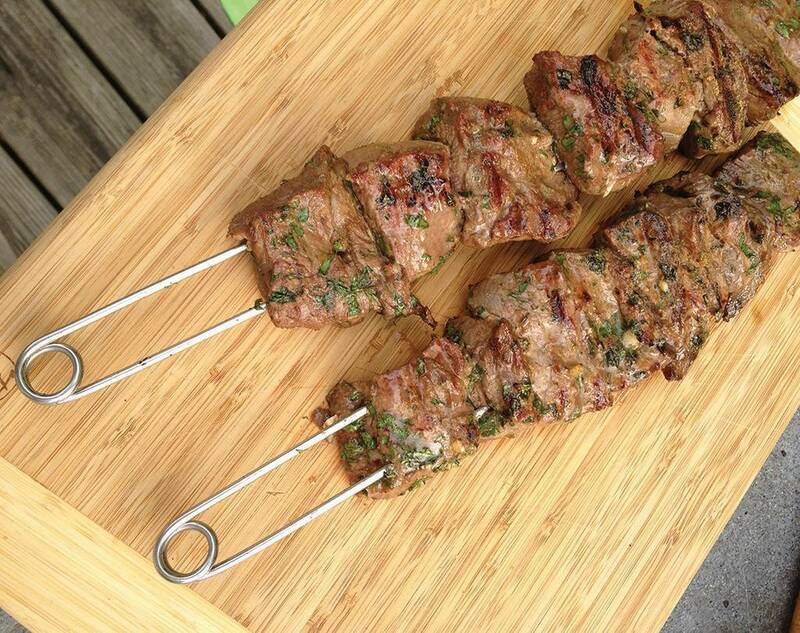 Traditional skewers allow the meat to rotate when you try to flip your kababs on the grill, leading to uneven cooking. 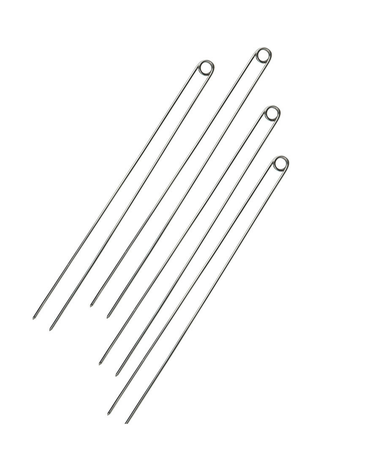 These double pronged skewers hold everything in place for the easiest adjustments. 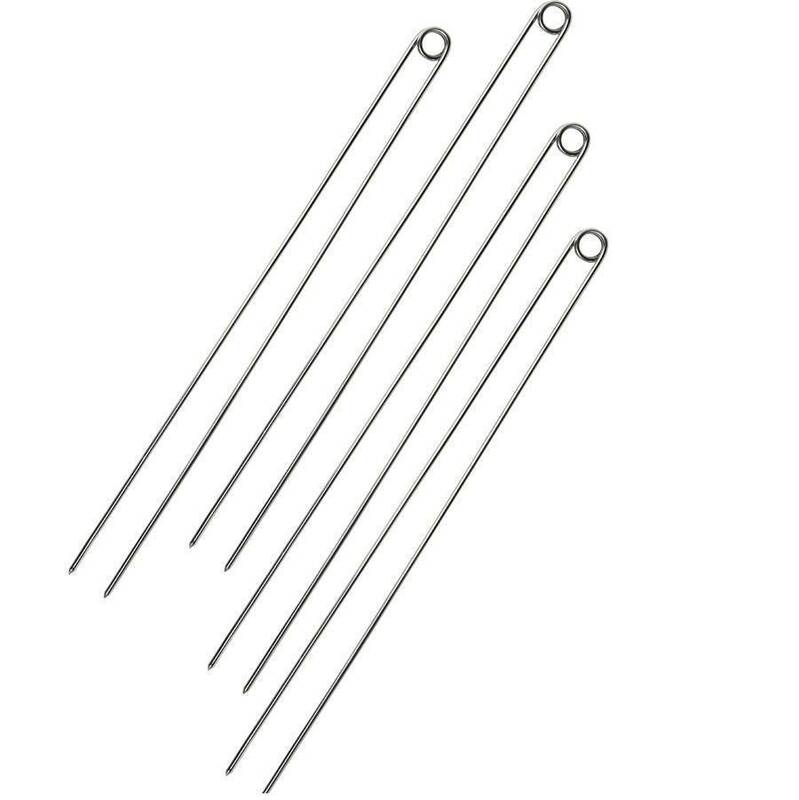 The rods are made from one piece stainless steel, which makes them very strong and allows for a minimum diameter, which keeps the meat juices in. 15" long and sold in sets of four.